Polished & stained Flooring Services - New England Surface Preparation Inc.
Polishing a Concrete floor has several benefits – the most obvious is the visual appeal however, the practical benefits outweigh the sleek look and save you money in the long term. Polished Concrete is highly abrasion resistant, incredibly dense and very smooth. 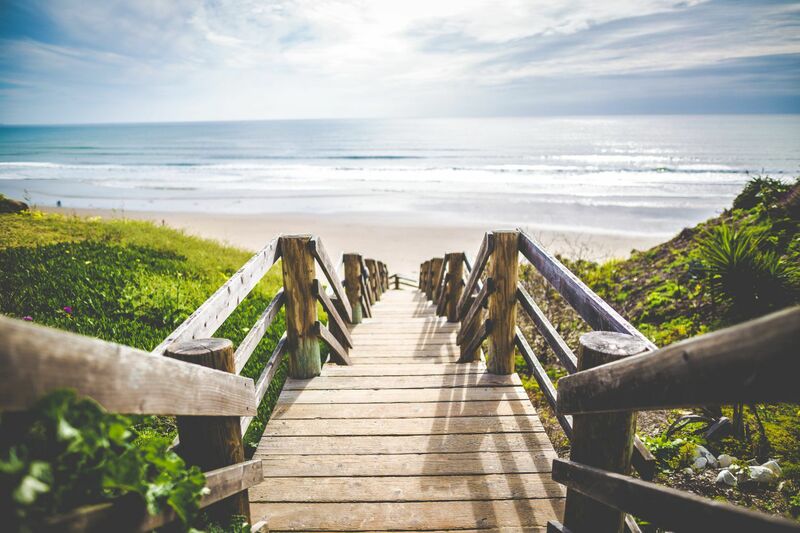 It can also take the place of Seamless Epoxy/Resinous Flooring or thin film Coatings. There are various outcomes that can be achieved when one Polishes Concrete, depending on the desired usage. Benefits include strength, abrasion resistance, non-dusting, spill resistance, and the process is environmentally friendly making it the new choice for finished Flooring. HOW DOES POLISHED CONCRETE WORK? Each of these options can be created with an exposed aggregate or non-exposed aggregate finish. Polishing concrete is accomplished using progressively higher grit diamond-embedded grinding stones. Then finished with an application of a liquid densifier and optional penetrating sealer with final polishing and burnishing. The final result is an expensive looking floor that is attractive, durable, practical and economical. The durability and increase in abrasive strength of a polished concrete floor is unmatched. A Polished Concrete floor can withstand even the toughest traffic and add years to the life of the floor. They are resistant to: Wear, dusting, marking (such as forklift tires), water, abrasion and heat. 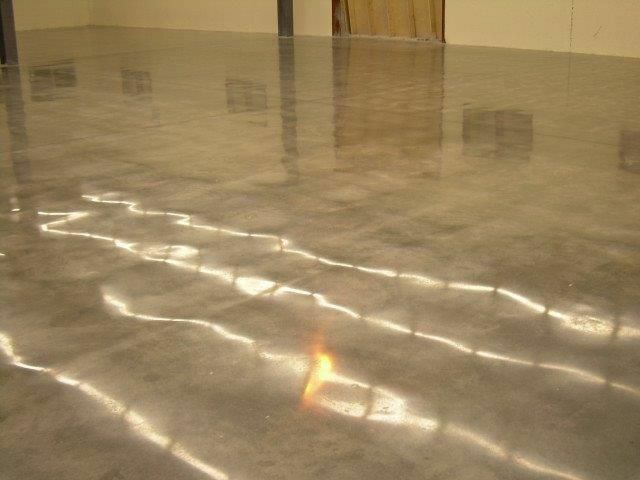 Polished concrete floors can be utilized in new or old construction for manufacturing plants, warehouses, factories, showrooms, retail, residential and industrial environments. 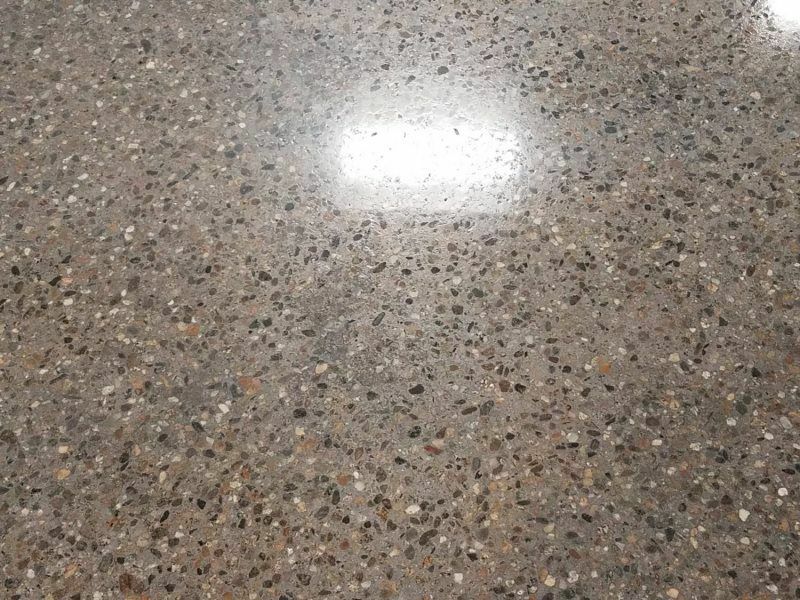 Polished concrete’s unique shine and appearance makes it look quite slippery when in reality it is not. It is no mores slippery than any normal clean, dry concrete surface. Polished concrete tends to be more slip resistant than polished stone floors. For polished concrete floors there are some anti-slip conditioners that can be applied if necessary for extra protection from accidents. These conditioners have additives that aid in improvement of traction and make wet surfaces safer. Although they require reapplication over time they do not require any additional maintenance. Dry floor ranges from 0.59 to 0.86 ADA (American Disability ADA). Test done with sellmaier floor slip test meter. Where safety is a priority polished concrete floors are one of the safest floors you can have.